Nowadays, weather forecasting is more than just mere guessing. With radars, satellites, and a lot more technology, being able to know the weather conditions for a given day has become more reliable than ever. More importantly, information about the weather is becoming increasingly accessible to pretty much anyone with a mobile phone. Want to know if the weather conditions are perfect for your vacation? Check out these apps, which can tell you everything you need to know. AccuWeather – Free for both Android and the iOS, AccuWeather is a great app that provides its users with hourly, daily, and even 15-day weather forecasts. All these can even be integrated into your calendar. There’s also the MinuteCast feature, which provides weather forecasts by the minute over a period of two hours. AccuWeather boasts an impressive reach, with data for over 3 million areas. Finally, users also get alerts for bad weather like storms, snow, hurricanes, and more. Carrot Weather – This is Carrot’s contribution to the weather forecast niche, and it’s a good one at that. Aside from the comprehensive features including periodic forecasts (short-term, 24-hour, and 7-day forecasts), quick summaries, and other detailed information, Carrot Weather also presents it all with a bit of sarcasm and funny animations. The app takes much of its info from Forecast.io, which is a reliable source. The app is designed to be integrated with iOS 10 and is available for only $3.99. Dark Sky – This one has impressed a lot of users with its incredibly accurate forecasting right down to the minute. In addition to snow and rain predictions as well as some radar mapping, Dark Sky also has 24-hour and 7-day forecasting with its Forecast.io web app. It also comes with a customizable notification system and a weather digest function that you can set as one of your lock screen widgets. Originally exclusive to the iOS at $3.99, Dark Sky eventually released a free Android version, albeit with some features placed behind a $2.99 paywall. Hurricane – Created by the American Red Cross, this app was designed for, and has been proven to be, an all-in-one aid for disaster preparedness, helping users catch up on storm predictions and track weather conditions in their area. In addition to strobe light, flashlight, and noise making functions, the app can also be used to locate nearby Red Cross shelters. Users can also mark themselves as “safe” on Facebook and other social media during a disaster. The app also comes with various disaster preparedness tips that will come in handy. It’s free for both Android and iOS users. Morecast – While UBIMET is more popular for its corporate and professional weather services, it does have a street-level weather app that has an impressive number of features, including but not limited to multiple period forecasts (24 hours, 3-14 days, etc. ), radar maps, live cams, and customizable widgets. 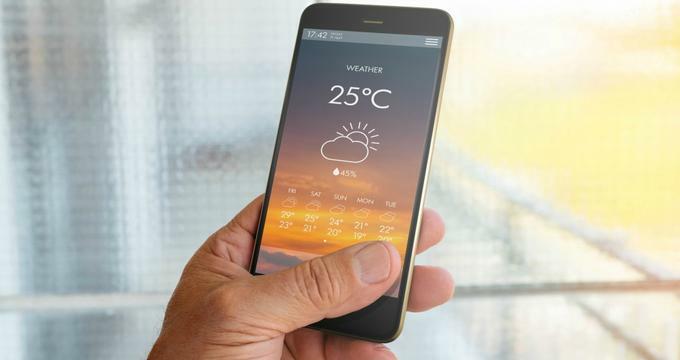 The app even does an on-route weather forecast, allowing users to know what the weather conditions will be like in the areas they’ll be travelling to. It’s free for both Android and iOS users, although they will have to deal with ads every now and then unless they’re willing to pay the subscription. NOAA Radar Pro: With real-time radar images and interactive maps, NOAA Radar Pro is a reliable app that gives users a heads-up when there’s something bad coming their way. It has the ability to send notifications to the user whenever there’s a weather alert, ensuring they’re not caught unawares by incoming storms. Those using the iOS version, costing $3.99, will find that the app is compatible with the Apple Watch for added convenience. Android users can download the app for free, but they can opt to have the ads removed with a $1.99 in-app purchase. Radarscope: For something that’s a bit more packed with features, try Radarscope. It’s free on Android and costs $9.99 on iOS. The app was actually created with meteorologists and weather enthusiasts in mind, providing them with Nexrad Level 3 data from radar stations from the U.S., Guam, and even Puerto Rico. There’s also an option to fine-tune the information by tweaking the settings for reflectivity, velocity, and much more. Finally, the app leaves no detail out, with information on flash floods, thunderstorms, tornadoes, and more. To many, this might seem like way too much information, but it’s something that will really appeal to those who really want to know more about the weather. WeatherBug: For something that’s free on Android, iOS, and Windows Phone, WeatherBug provides a lot of information about the weather. It boasts fast and targeted alerts about incoming bad weather as well as accurate data on all weather forecasts. All the information is localized via GPS as well. In addition, the app comes with interactive maps, live cameras, visual forecasts, and even social media integration. All in all, it’s a really good, yet free, weather app. Yahoo! Weather: Featuring an interface that’s both striking and informative, the Yahoo! Weather app shows images of your own area along with information about local weather conditions. You’ll also get a chance to view information on forecasts for the next five days as well as check out radars, heat maps, and satellite maps. The good thing about this app is that it’s got a unified experience between the Android and the iOS, making it one of the more user-friendly choices on the list. There’s an ad that pops up every now and then, but you can easily swipe it up to get to the information you want. Keeping up with the weather is just as important as knowing the latest news. Thankfully, these apps will make it easy for you to do just that.